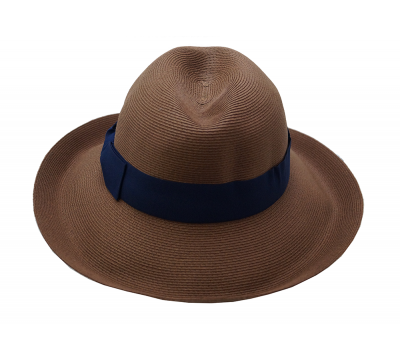 Wide brim fedora hat style, trimmed with dark brown, coated cotton string. 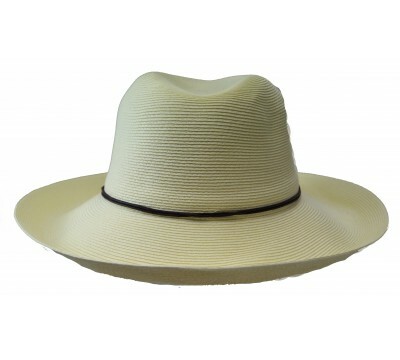 Cien is made of natural super braid straw, fitted with one size fits all system to adjust hat size. You can easily play and change the position of the brim in order to adjust the look according to mood and function. also available in navy, and in ivory. Cien with ribbon - brown/tan with navy trimming Wide brim fedora hat style in warm tan..
Cien with ribbon - greige This wide brim fedora hat style is called Cien. 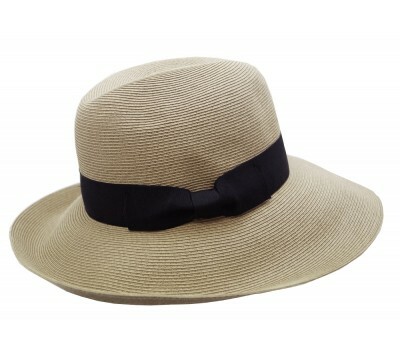 Made of natural su..
Cien with ribbon - natural with black This wide brim fedora hat is called Cien. 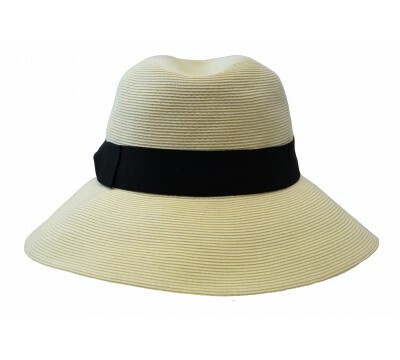 The hat..
Cien with ribbon - ivory and black Wide brim fedora hat style, trimmed with black ribbon. 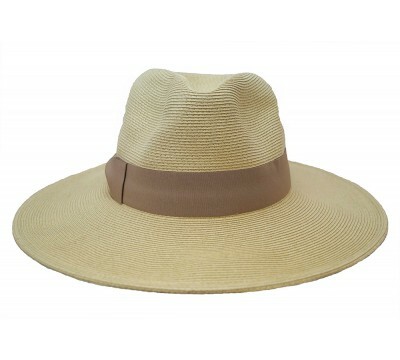 Ma..
Bonnie - camel Wide casual brim fedora hat style Bonnie, trimmed with camel ribbon. 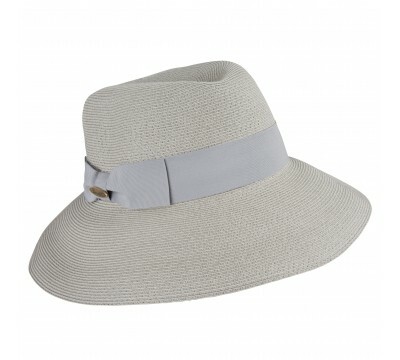 Made of ..
Cien with rope - ivory This wide brim fedora hat style in ivory is called Cien. 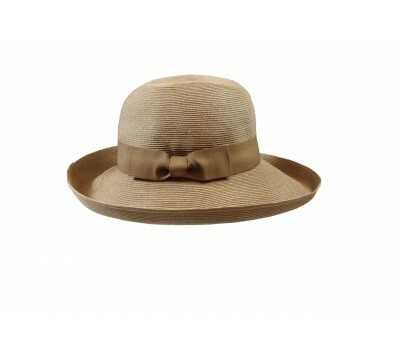 Ci..
Veronique - natural Extra wide brim fedora hat style, trimmed with camel ribbon. 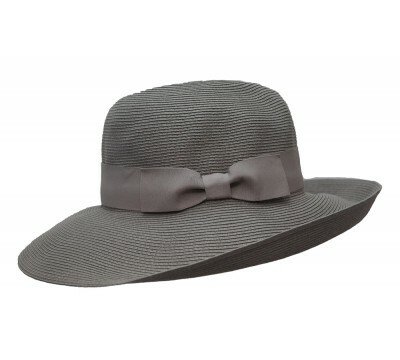 Made of n..
Cien with ribbon - pale grey This wide brim fedora hat style is called Cien. Made of natural..